Clutton was a very gifted person as besides being the senior partner in the family’s firm of Chartered Surveyors he was a Master of the Worshipful Company of Clockmakers plus he had a large collection of vintage cars. He was an author of books on clocks and cars. 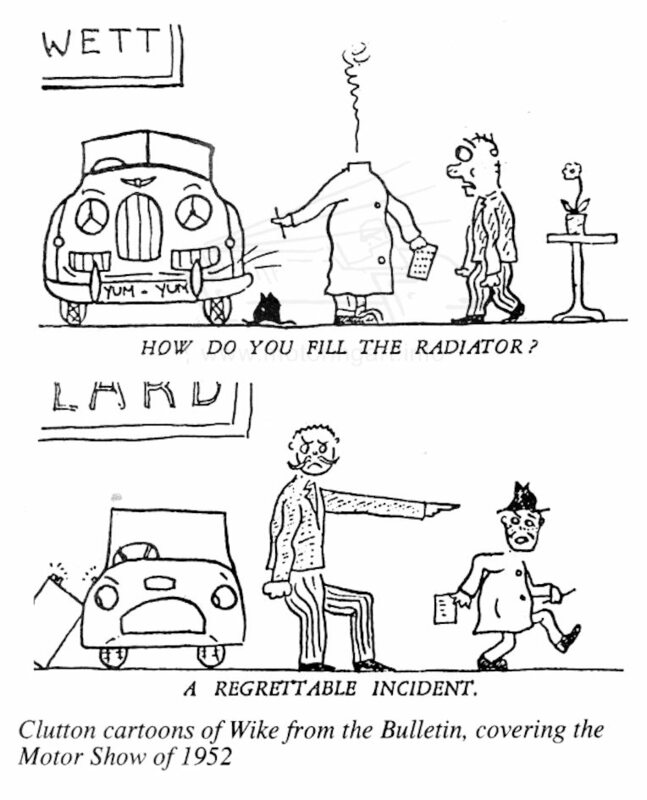 He was also very active in the Vintage Sports-Car Club and contributed cartoons for the Bulletin.